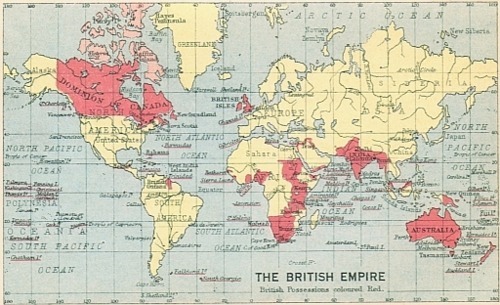 This map is undated but is probably the state of the British Empire pretty much immediately prior to World War 2. In any case there should be enough information for a professional – or reasonably well informed amateur – historian to put a year on it. 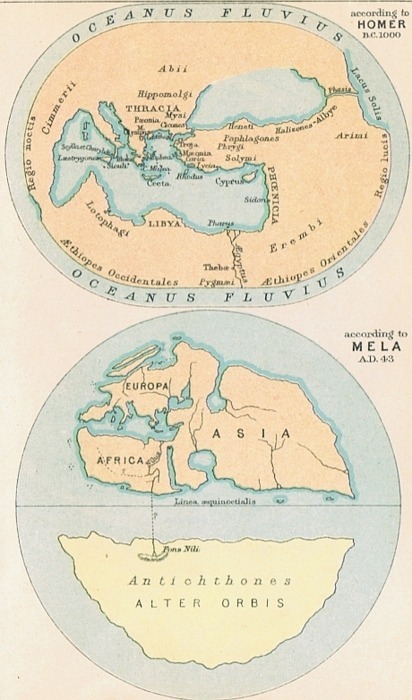 This map is printed in the same book (the NEWNES pocket atlas of the world). There are two worlds in it, Homer’s world of about 1000 years BCE, and Pomponius Mela’s of about a thousand years later.